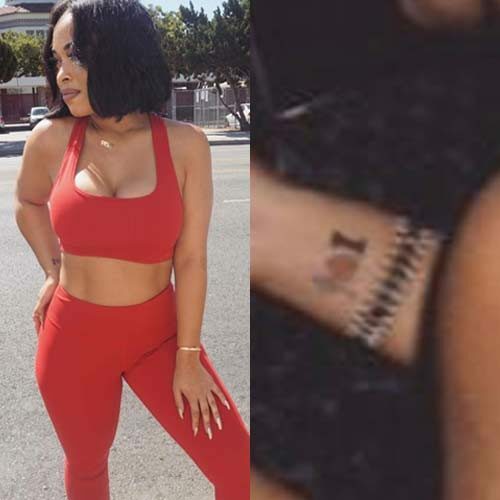 Heather Sanders’s right wrist tattoo “I heart treble clef” simply translates into “I love music”. 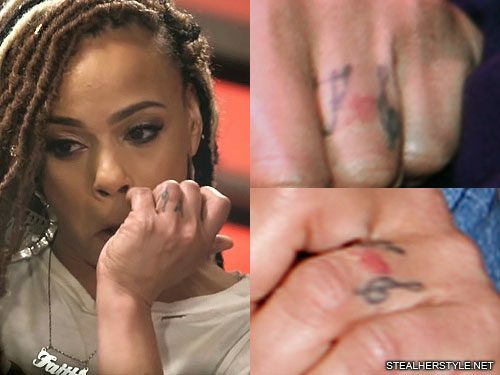 Faith Evans showed that music is her number one love by getting this tattoo on her wedding ring finger. 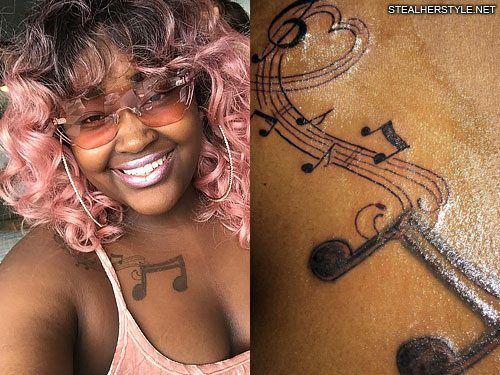 It has her initial F, a red heart, and a treble clef. 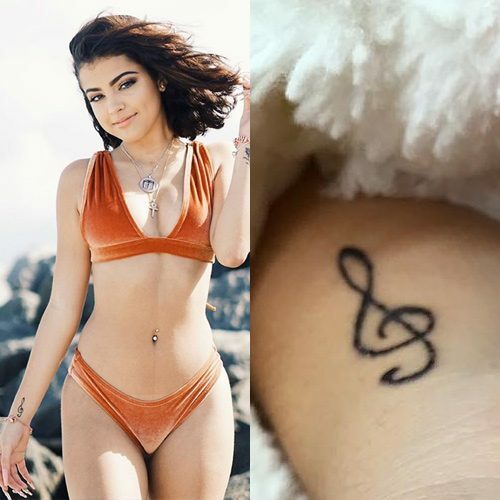 Malu Trevejo has a treble clef note on her right wrist. 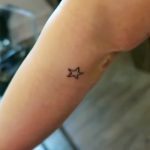 Scheana Marie Shay has a treble clef symbol tattoo on her right wrist. 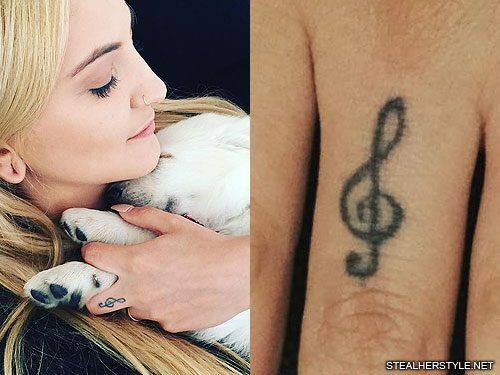 Julia Michaels got a treble clef inked on her middle finger on her left hand in November 2012. 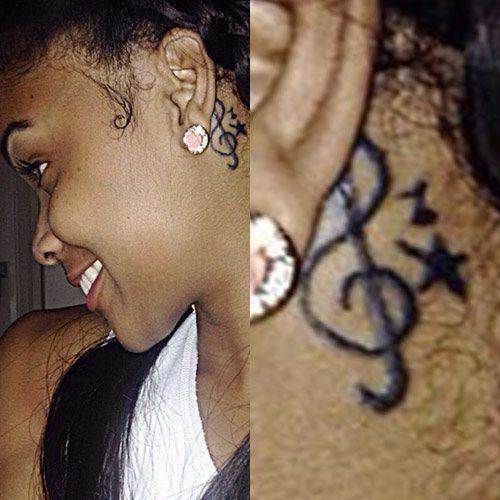 Ajiona Alexus got this tattoo behind her left ear in October 2014. It is a large treble clef with a small music note and star behind it. 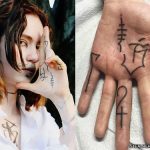 The simple black ink design has a hand-drawn look to it. Although she is best know for her breakout role as Sheri Holland on 13 Reason Why, Ajiona is a singer as well an actress. She released her debut 2-song mixtape Radio Ready back in 2012 and has been hustling ever since, often posting covers on her YouTube and SoundCloud pages. “People come & go…but music is EVERLASTING!! !,” she once tweeted. Rihanna’s second tattoo was two music notes on the inside of her right foot. The notes are a treble clef and sixteenth note. It is believed top be inspired by her music career, as she was just starting out in the music industry at the time. 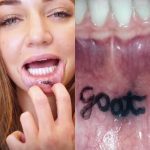 She got the tattoo in Australia while she was in the country to perform at the Universal Music showcase on May 31, 2006. She kept it for many years, but eventually had it covered with a large falcon in June 2012.